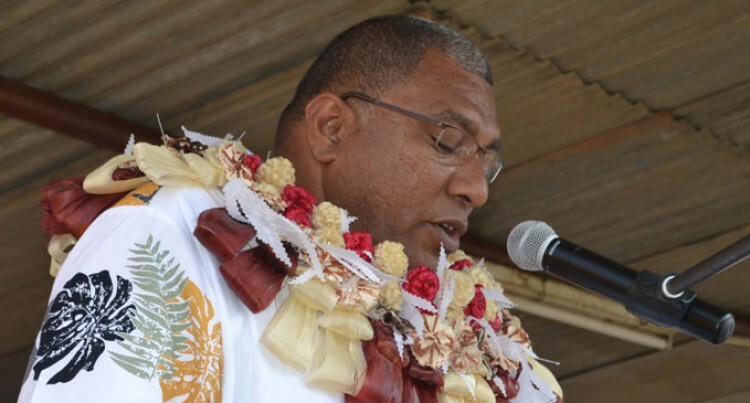 A true chief, in the iTaukei context, would be one who puts his people first. The Tui Macuata, Ratu Wiliame Katonivere’s decision not to stand in the 2018 General Election to concentrate on his traditional obligation to the vanua of Caumatalevu, should be applauded. He is the vice president of the FijiFirst Party and he wants to leave politics to national leaders, while he works to safeguard and be an adviser for his people in the development of the vanua. It has been a norm for educated iTaukei chiefs to stand for election and some have done the nation proud with their distinguished national leadership. With our current one vote system, those voted into power including iTaukei chiefs are to serve all Fijians and not just the people under their traditional jurisdiction. As we cannot serve two masters, service will be either heavy on one side or both will get 50 per cent of service, because of a conflict of interest. As an iTaukei, I am happy that two paramount chiefs have also decided not to stand in the 2018 General Election. I am not trying to discourage our iTaukei chiefs from entering politics but if it is God’s will, then let it be. Lest we forget, our iTaukei chiefs have a traditional duty to serve its people first before serving the whole nation, if voted into Parliament. Recent reports of a completion of a waste water system in Natokawaqa, Lautoka, is timely. But on a national scale, there are important questions that deserve some thought. What is the capacity of our sewerage treatment plants and systems? What is the current population or number of households who depend on these sewerage systems? What plans are in place to increase capacities of existing treatment systems given the influx of people living closer to urban areas? For example, the Suva – Nausori corridor is getting increasingly populated with influx of people to Nasinu. All in all, questions worth pondering over as one can imagine what would happen should these systems become overworked. Three years ago it used to taste so good. It was a delight. Now it’s a total waste of money. No taste at all. The European Union’s Strengthening Citizen Engagement in Fiji Initiative (SCEFI) funded project (FS 29/1) aims to boost public engagement in civic life. Local elections, constituency based MPs, a relaxation of laws regarding public assembly, not to mention active encouragement of Parent Teachers and Friends Associations (PTFA) by school principals and the Ministry of Education would in my opinion add credibility to this project.